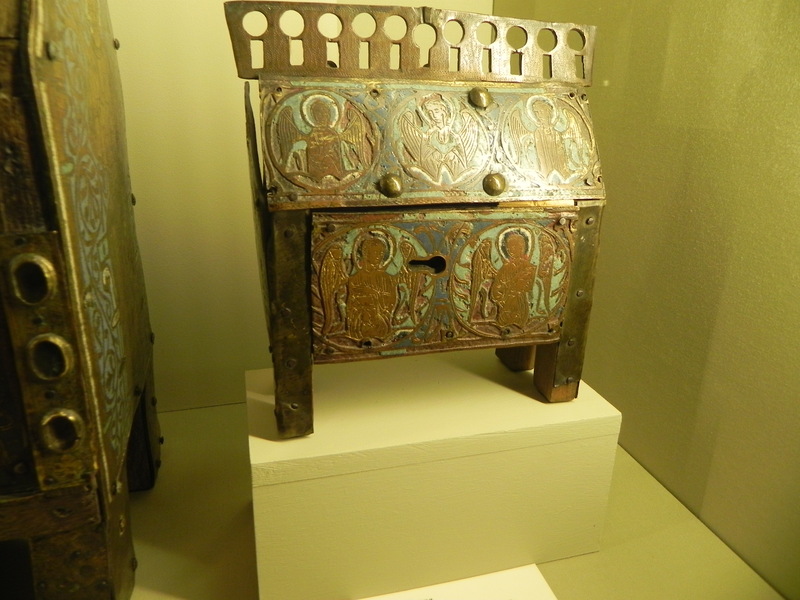 This entry was posted on July 31, 2011 at 8:58 am and is filed under Paris Museums, Paris sightseeing. You can follow any responses to this entry through the RSS 2.0 feed. You can leave a response, or trackback from your own site. The chain mail is so a thinner moi… 🙂 But I do understand the temptation of KT meets HGTV! How does one fit that 18′ tapestry on the 9′ wall? 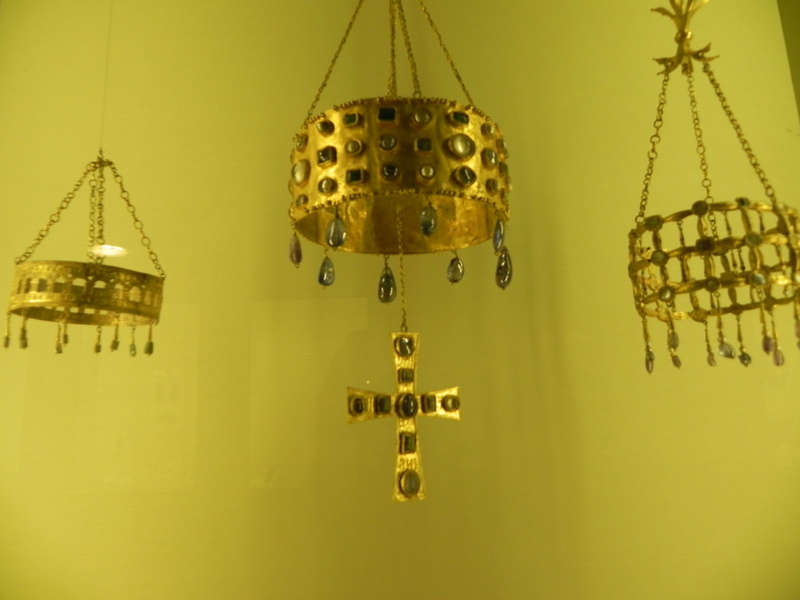 Will the reliquaries clash with grandma’s cut glass bowl and auntie’s brass slipper ashtrays? Of course, the ED (Experienced Decorator) knows that one doesn’t follow convention – one leads! Well dear, just hang the tapestries if you have the walls to do it. Bigger question is how it will all meld with the Capodimonte… Thank goodness we have an ED overseeing things to prevent an embarassing decor faux pas. BTW I found a French cafe in Philly that was pretty good – it’s in Rittenhouse Square. This post is the best ever. I would give it a dozen stars if I could figure out how. Next trip I want to go there and see what a medieval powder room looks like. Kathryn thanks for commenting! 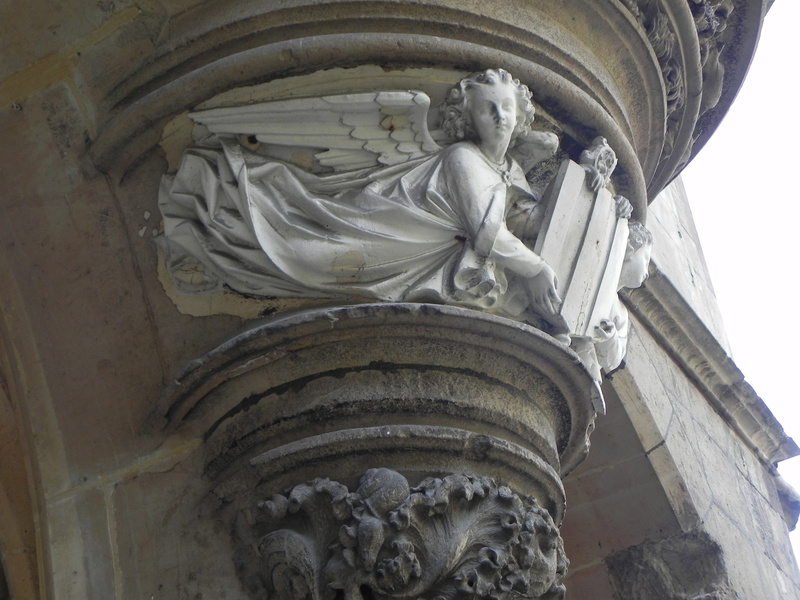 There are guardian angels all throughout the Cluny, with their lovely cherub cheeks. I sense a trip to Paris brewing – you absolutely must go and practice your French! Hope you’re well and air-conditioned! Thank you for highlighting this wonderful museum! 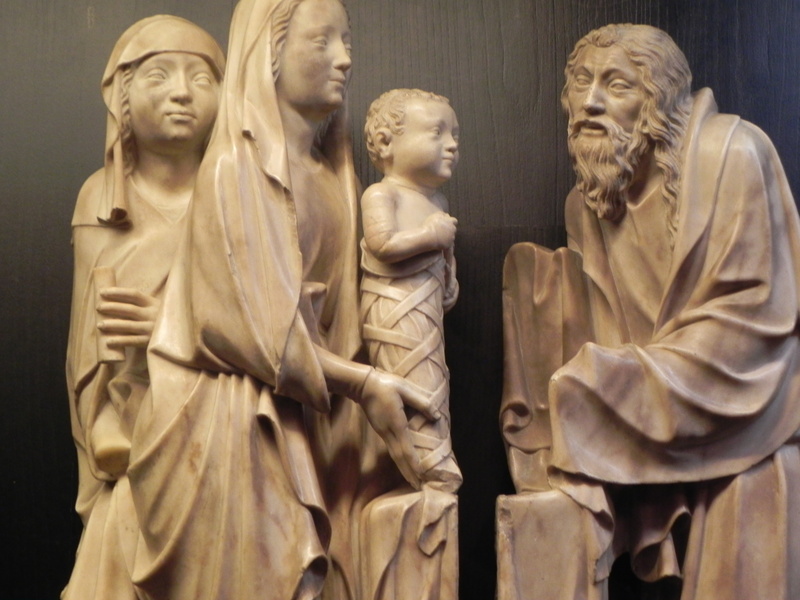 I encourage readers who have not visited it, to pair their Cluny visit with time in the *Objets d’art: Moyen Âge et Renaissance* section of the Louvre (Richelieu, 1st and 2nd fl. 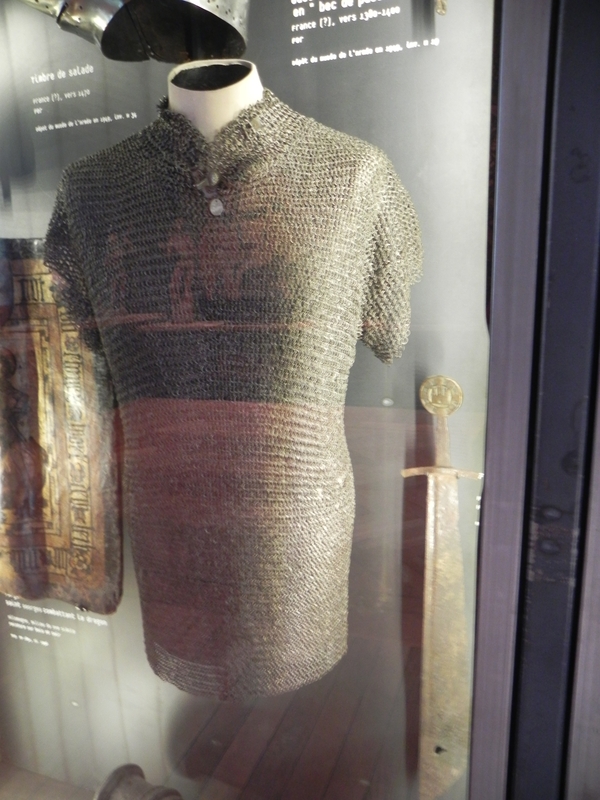 ), where you will discover the other half of the French national medieval collection, including the sword used to crown French Kings starting in the 1100s, called the “Charlemagne” sword because it contains precious stones from an earlier royal dubbing sword from the Carolingian period. 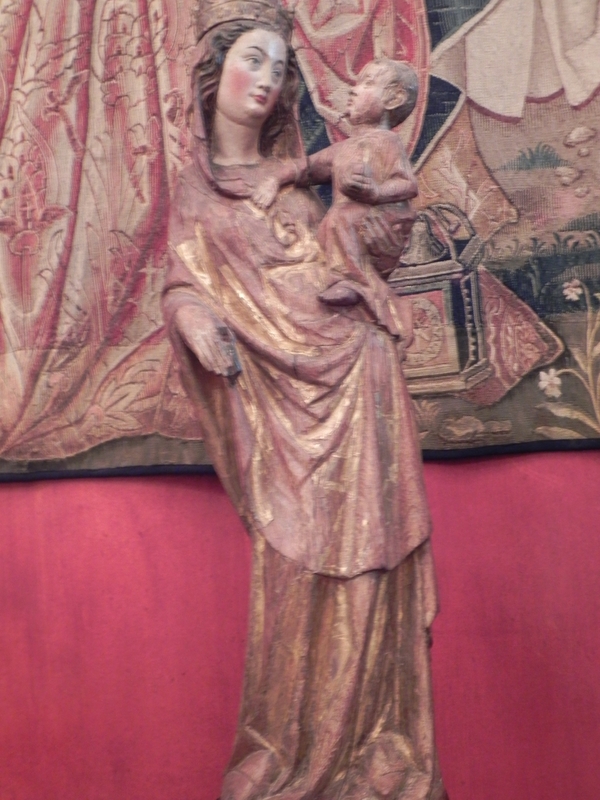 France’s National Muséum of the Renaissance, at Écouen (25 minutes north of the Gare du Nord, near the Basilica of Saint Denis but not on the metro line) is also well worth the visit. You do well to remind readers about physical realities of Paris in the Middle Ages. The Sorbonne was one of the two oldest European universities, second after Bologna, both founded nearly a century before Oxford. In the Middle Ages “University” meant Theology, and one is amazed to see even a short list of those eminent medieval theologians and philosophers who taught and studied here: in addition to Pierre Abelard (who was actually fired), Thomas Aquinas, Jean Buridan, WIlliam Ockham…and that’s only counting the 12th – 14th centuries. 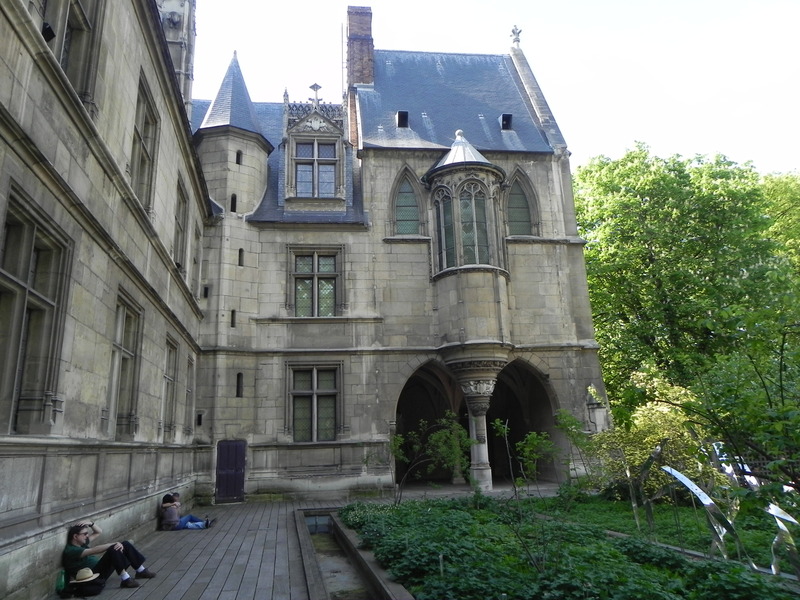 The Hôtel des Abbés de Cluny was the Paris residence of Abbots of the great Burgundian monastery…and it is the only remaining non-church building from the entire extended period still standing in the Sorbonne quarter (attn: early Renaissance, XVe c.). It is truly thrilling to stand in this building, and its magnificent courtyard, then to walk around it, imagining what the world-renowned Saint Geneviève “Mountain” of the Sorbonne was like during the centuries when it was literally covered with similar buildings. American in Paris thank you so much for the *excellent* information on the Cluny and Medieval Paris. Do please continue to share your thoughts on our posts! Are you based in Paris? Hey there, Julie and American in Paris, I wanted to invite you to a show I’m doing here in Paris (at a very very cool concept space in Montparnasse)… can you get me your email details so I can send you the info? Hi Matthew – I will just dream of attending your show, as I won’t be in Paris again for a few months. 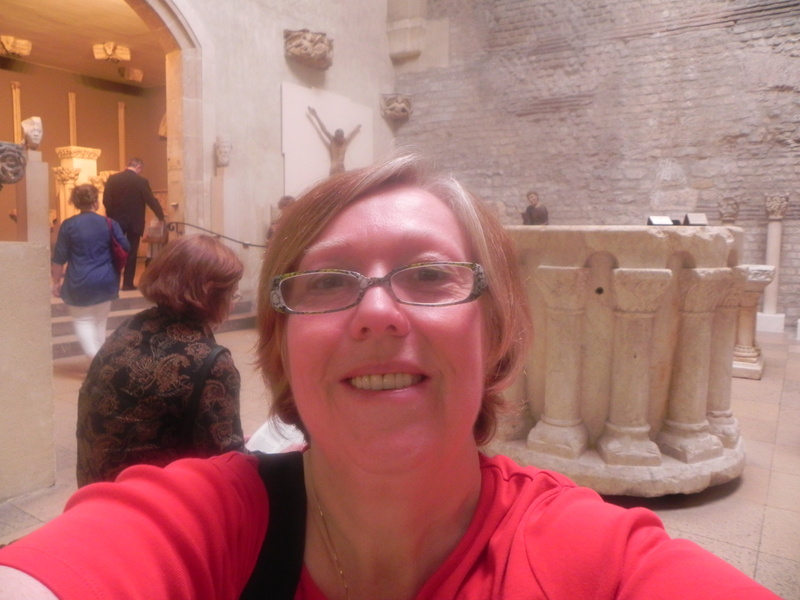 I’m a graphic designer from NYC, I was researching images from Musee de Cluny for a project I’m working on and came across you website. 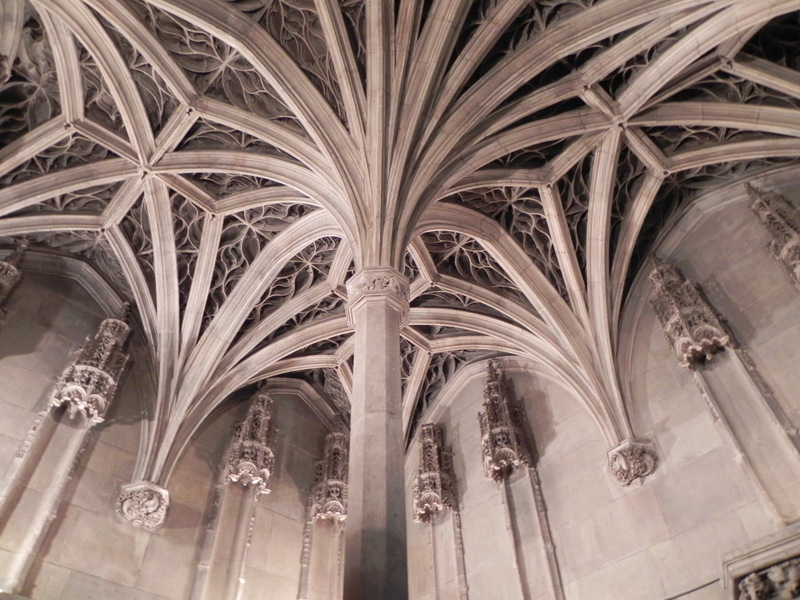 I’d like to ask for you permission to use the image of the ceilings of the Musee you had taken. We’ll be producing 30 copies of the brochure, and your name would be credited on the photograph. Mariana, welcome! You can use the photo with attribution. Watch for an email from me with info and the file.